Mine is Nappies, I mean cant have her having a smelly bum all day! muslin squares are great for cleaning up mess, using as a blanket or even emergency nappy! Baby wipes and a change of clothes for baby! It has to be baby wipes as standard, but I also like to have some hand sanitizer as I have had to change some very dirty nappies in some strange places! Wipes! Always, always need them! As many changes of clothing you can fit in! Change bag essentials would have to be a change of clothes AND extra snacks! Obviously nappies - but wipes are vital! Muslin cloths wasa god send. Wipes, spare clothes & muslin cloths! Muslin clothes and baby wipes - there's always something to clean up! Has to be wipes...and a bottle of water and snack for my 4 year old. wet wipes! and nappies of course! I should of said other than baby wipes, ha ha! 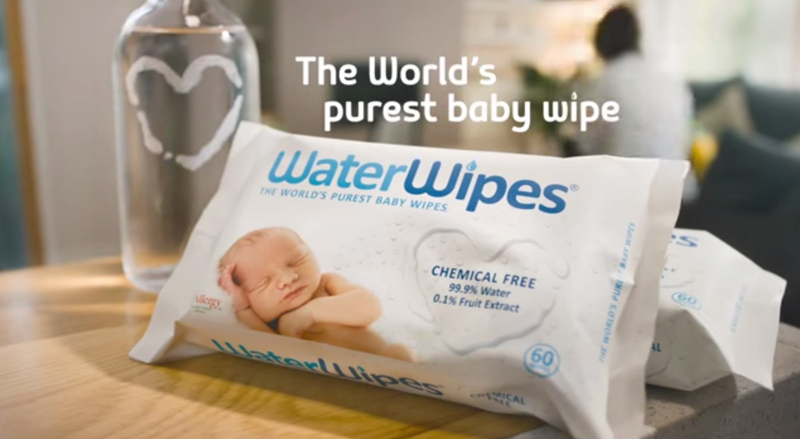 Ive heard fab things about these wipes & know I need them for when my little one arrives. wipes, have to be a changing bag and general life essential when you have kids! Wipes. not a very original answer, but they are so useful. I wonder how mums managed before they were invented. Change of clothes! The amount of times we've been caught out is stupid. change of clothes and wipes of course! Wipes and nappies, never leave home without them. The most important thing in the nappy bag... is the nappies themselves. But a good supply of wet wipes comes in a close second! I don't have a changing bag as my kids are older now but I find wipes very useful to keep my daughter who is disabled and mostly bed-bound comfortable. Wet wipes, 1000s of them. Wet Wipes, they have 1001 uses! baby wipes - whenever i go out without the baby i feel like i should still be carrying wipes around with me. Wet wipes without a doubt. Definitely baby wipes- so versatile! A small toy to keep those hands occupied! Definitely wipes, still use them everyday even though Sienna is 2 and a half! Wipes, nappies and a change of clothes. Has to be nappies but you definitely need wipes too or it will get too stinky. A flannel! To stop the inevitable fountain from soaking us both!! Aside from the obvious... hand sanitiser! I dont leave the house without wipes and nappies! Muslin Cloths. They can be used for so Many things!